A consortium including the Manchester soccer club’s owner has acquired third-tier Sichuan Jiuniu FC. It’s a modest punt, and the first by a Premier League heavyweight in the mainland game. Local allies and experience in multiple countries set the buyer up for financial success. 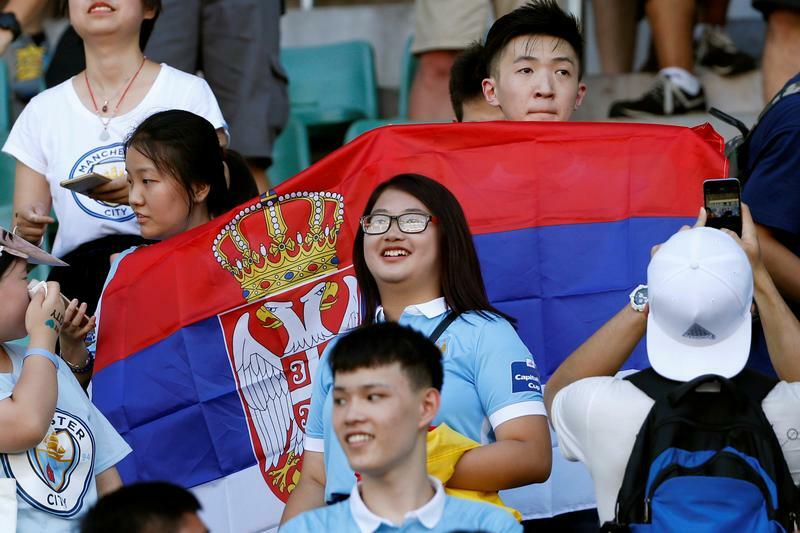 Football Soccer - Manchester City training - International Champions Cup China - Shenzhen Stadium, Shenzhen, China - 27/7/16 - Chinese fans watch. City Football Group, the Abu Dhabi and Chinese-owned group behind Manchester City, on Feb. 20 announced it had bought third-tier Chinese soccer club Sichuan Jiuniu FC, with partners. It did not provide any financial details. City Football made the purchase jointly with Chinese robotics group Ubtech and China Sports Capital, a joint venture between China Media Capital and Sequoia China. China Media Capital Holdings and CITIC Capital took a 13 percent stake in the Abu Dhabi-owned group in December 2015, valuing it at $3 billion. City Football owns Manchester City, New York City FC and Melbourne City FC. It also has investments in Japan’s Yokohama F. Marinos, Uruguay’s Club Atletico Torque and Girona FC in Spain.